Ch Whisperwind Frankly My Dear "Gable"
Email Dena @ denamurnane@gmail.com for information on the puppies. A deposit is required to hold a puppy for pick up. Puppies have had their first shots and Veterinary exam. Lulu and Bestie travelled to Virginia this year and finished quickly with their handler Aleta Canady of Whisperwind. Gable and Bogey both travelled to Virginia this Spring with their handler Aleta Canady. Both boys returned as Champions in early summer. Gable finished with 5 majors at 3 years old. He has returned home to Oregon and now has two litters due shortly. Bogey won the first 4 shows he was entered in at the Covered Bridges shows in Albany Oregon. Proudly shown by his handler Aleta Canady at the tender age of 7 months. He went to Virginia with Aleta and finished his AKC championship at 12 months old. He also racked up a GCH major and a total of 8 GCH points. Bogey has also returned to his home in Beaverton Oregon. He is owned, loved and adored by Carolyn and Joe Ritacco of Dorian Shelties in Beaverton Oregon. Bogey and Carolyn are diligently working toward their obedience titles where he is also showing great promise. Thankyou Carolyn for all you hard work and amazing training schedule. It could not have been done without your dedication. Bogey's Mommy Wintercreek Whisperwind BFF "Bestie" is currently being shown by Aleta Canady in addition to his Auntly Lulu Wintercreek Once in a Blue Moon. If you have interest in filling out an application for puppy ownership go to the CONTACT US area in our selection area on the top of our home page. You may also email us directly at wintercreekshelties@yahoo.com Please tell us a little about yourselves. your family and where the puppy will live. Our pups are raised in our home and socialized with other dogs, adults and children. They stay with their Mom's at least until they are five weeks or older. We are proud to have happy well balanced puppies that are also beautiful and healthy. Our priority is to find wonderful homes for our puppies. Whisperwind shelties and Wintercreek Shelties co breed and co own many of our dogs. Wintercreek in Oregon and Whisperwind is in Virginia. Wintercreek Sheltie puppies for sale in Portland Oregon and near Oregon City, Beaverton Oregon, Lake Oswego Oregon, Tualatin Oregon, Wilsonville Oregon. Shelties for sale close to Salem Oregon, Albany Oregon, Bend Oregon, Eugene Oregon, Wintercreek Sheltie puppies close to Vancouver Washington, Ridgefield Washington, Seattle Washington, Tacoma Washington, Olympia Washington, Wintercreek Shelties in the Willamette Valley. Wintercreek Shelties in the Pacific Northwest. Near Puget Sound. Wintercreek Sheltie puppies in Northern California. Wintercreek Shelties in Oregon, Wintercreek Shelties in Washington. Oregon breeders of quality Shetland Sheepdogs. We are located in the rural suburbs of Portland Oregon in close proximity to Vancouver, Washington and Clark County. Fifteen years ago we followed our lifelong dream of living in the country and raising and showing Shetland sheepdogs. We found three beautiful grass covered acres complete with rolling hills and pastoral views. A quiet peaceful place to let our shelties run and play to their hearts content. Our first Autumn was amazing with trees of reds, plums, golds and firey oranges. As we approached the first Oregon winter a small creek developed on the land. A suprise at first but with the rain and the new creek came the idea for our kennel name. The perfect choice would be Wintercreek Shelties. We hope you enjoy your visit with Wintercreek Shelties. We have provided photographs and pedigrees of our Shelties for your browsing pleasure. 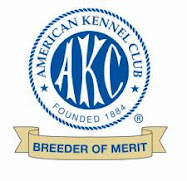 Wintercreek is proud to have multiple AKC champions including a few home bred champions. Our Shelties inspire us and bring true joy and happiness to our lives. We join many other Oregon Sheltie breeders and Washington Sheltie breeders in the importance of health and testing of our dogs. Health and Temperament rank among our highest concerns when breeding shelties. Choosing a sire and dam carefully has led to making the shy sheltie almost a characteristic of the past. All Wintercreek adult Shelties are tested for Hips OFA, vWD, MDR1 and Eye certification. We join in fund raising for Sheltie Rescue and participate in local education for new and continuing Shetland Sheepdog owners. have become some of our closest friends. of the Shetland sheepdog breed. Please take time to browse through our website and enjoy our Wintercreek Shelties of Oregon. Please enjoy your visit and leave us a messge in "contact us" if you have any questions.